I am obsessed with Twitter. There, I said it. I am over my twitter jitter and my new crush is on hashtags. So, what are hashtags? How should they be used? 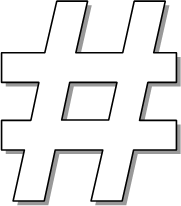 The # symbol, called a hashtag, is used to mark keyword or topic in a Tweet. Any Twitter user can categorize or follow topics with hashtags. It took me a bit to understand the beauty of hashtags (or #hashtags, as it might be). I thought that Twitter was all about being in the moment, all the time. But, with hashtags, your tweets can live on! With strategically placed hashtags, your tweet will be found when other Twitter users search for the same hashtags, or keywords. Twitter has search functionality (the “#Discover” tab and also a search box at the top of every page; see screenshot below) so that users can search for tweets on topics of interest. You can save these searches, too. With this functionality, Twitter changes from a bunch of moment-by-moment tweets to something more organized and targeted. The key is using them in your tweets so that your tweets will get found by others. How do you know which words from your tweets make the best hashtags? Let your interests guide you. Most people use Twitter to find a community with like-minded interests. Maybe baseball. Gourmet cooking. Or Adele. A political candidate. To find others going to a particular high school or college. To connect with other professionals in a particular field … and so on. It is likely, then, that you will tweet about these interests as well. Think about your interests and distill them into a few keywords. Then use #Discover on Twitter to search on each keyword to see if it produces results that fit your interests. Remember that multiple hashtags can be used in tweets or searches to narrow the results; for example, the search – #vegan #cooking – is much more specific than a search that is simply – #cooking. Right now, my saved searches include #projectmanager, #scrummaster, #jobs #rochester, #blogging and #socialmedia. This makes sense, given that I am a newbie blogger and a web and software project manager/ScrumMaster looking for a new job in the area in which I currently live (which is just outside of Rochester, NY). Check out some useful hashtag-related sites like hashtag.org or whatthetrend.com. Hashtag.org can show you a use of a particular hashtag over time and the most recent tweets using those tags. 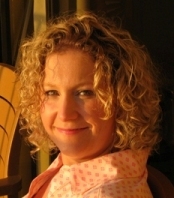 Whatthetrend.com provides a constantly updated list of trending (or “hot”) topics from Twitter. Once you get in the groove of figuring out which hashtags to use, then you can move on to actually putting them to work in your tweets. It’s easier to show this using the following simple example. Now, this tweet would have been okay on its own … but it wouldn’t have been very searchable or related to an existing Twitter community of interest! The hashtagged categories on Twitter are endless, really. What about this? Really, this tweet was meant to showcase a very useful “how to” video about ironing a dress shirt. So, #iron, #dressshirt and #video made the most sense to me. #Husband, #scientist, #interview and even #tie are legitimate hashtag terms BUT they add no value here. The video had nothing to do with interviewing (though he was wearing the shirt for an interview), being a scientist or even wearing a tie. That I was ironing the shirt for my husband was an interesting enough fact for the tweet text but I could have been ironing the shirt for my brother, son, friend or even myself. No value added there. In the end, just because word can be used in as a hashtag term doesn’t mean that it should. To restate, there is a lot more to Twitter than simply 140 characters. Much of the power of Twitter lies in humble #hashtags and the ability of Twitter users to apply them wisely to their tweets. Your reward will be greater visibility of your tweets and in the end, more followers. How do YOU use hashtags? What other suggestions do you have for Twitter newbies? I’d love to read your thoughts and suggestions below :-).